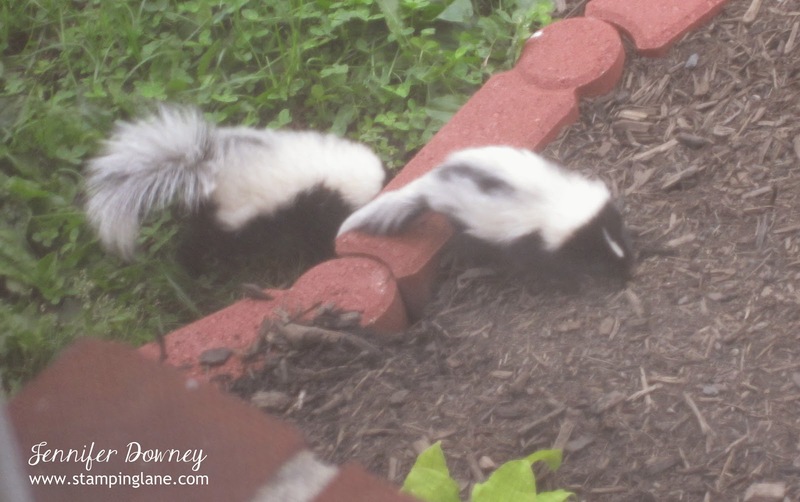 Yes, these are three out of the four baby skunks I found in my yard last week. They were just having a 'hay day' eating my hostas, playing in my mulch, and hanging out by my holly tree. Ugghh! Now I've seen my fair share of skunks in my lifetime, but never baby skunks...and especially not a litter of four all at once! Needless to say, I was less than enthused that they were taking up residence in my yard. I have a 3 year old after all that likes to go outside and play! 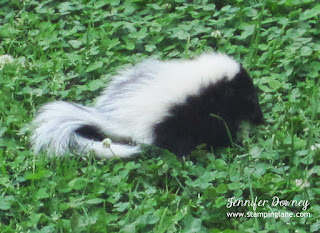 So a call to my father-in-law and well, let's just say the skunks are now members of the 'Victims Relocation Program'. 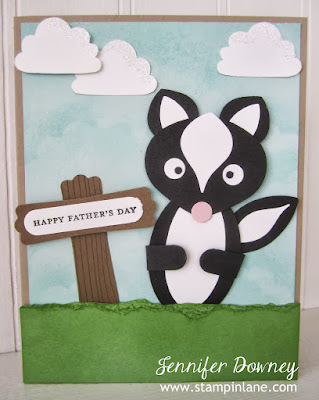 I thought it only fitting that his Father's Day card reflect this recent favor he did for us. Pretty cute huh? I LOVE punch art! There isn't anything you can't make with a few punches. 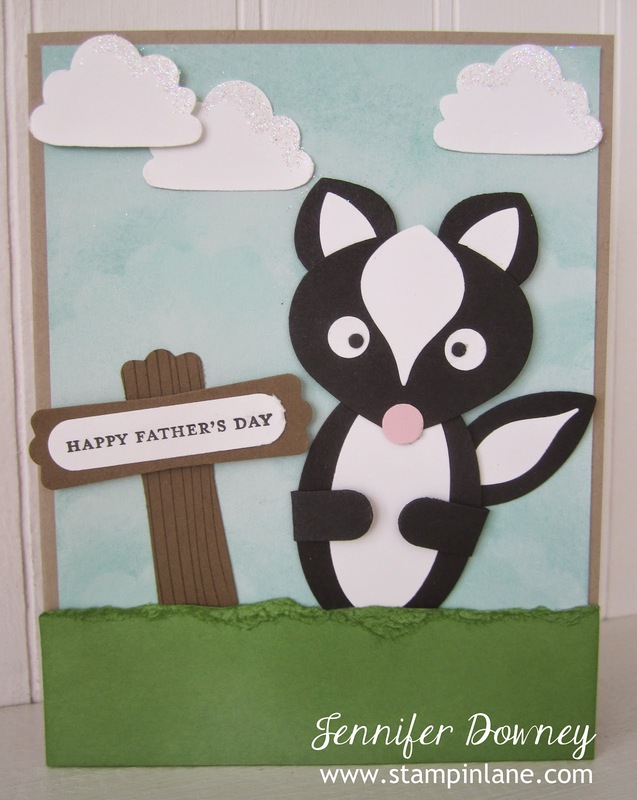 The inside of the card read, "to the man who took care of our skunk problem." He got a kick out of it! Happy Stamping!